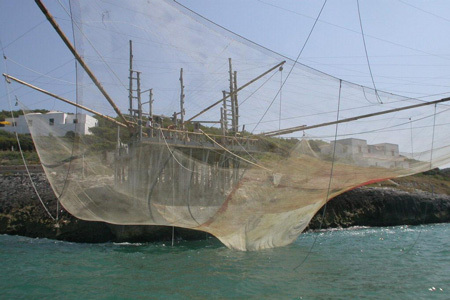 The presence Trabucchi are typical of our coast. 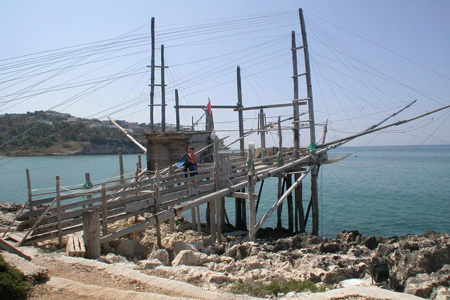 With a very complex architecture, made of wooden poles that are woven wire and pulleys, they are a very effective tool, especially on our coast, fishing for fish passage. 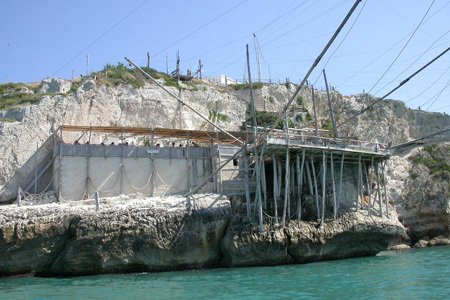 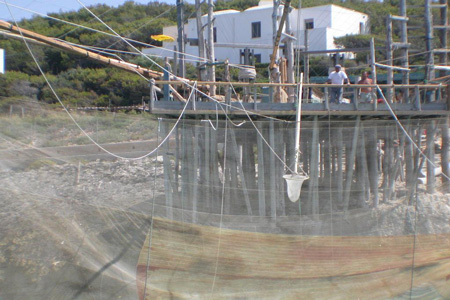 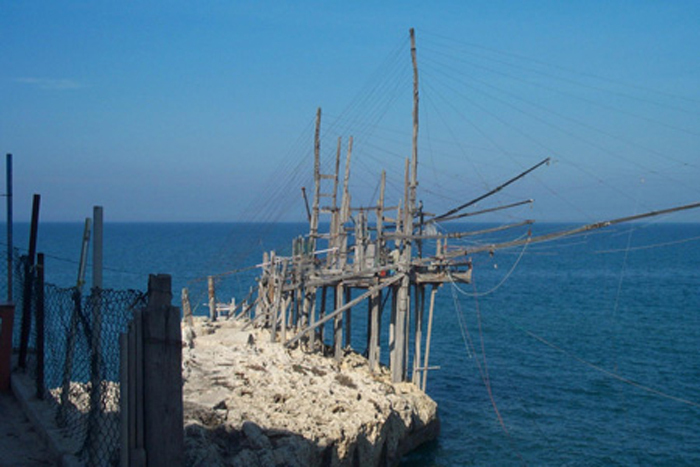 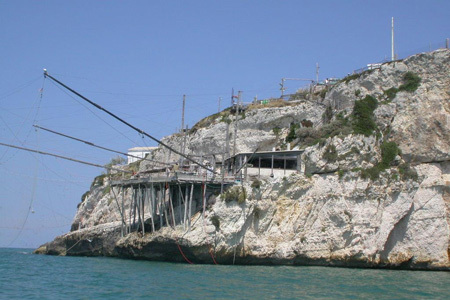 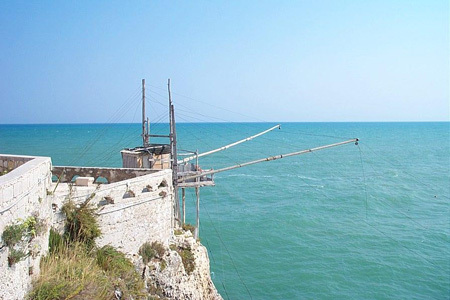 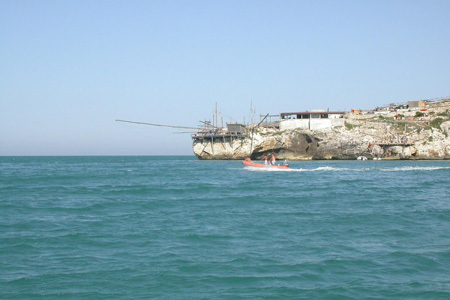 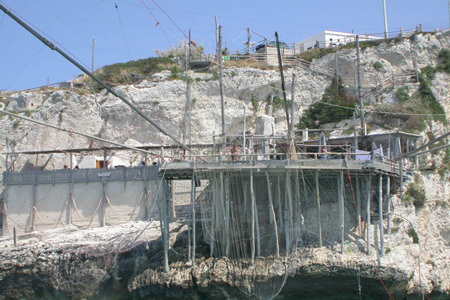 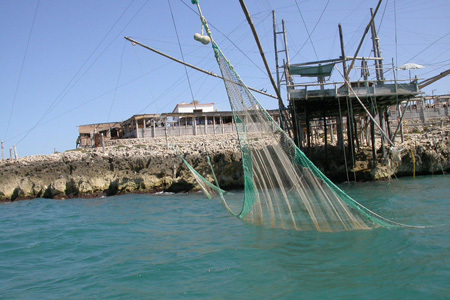 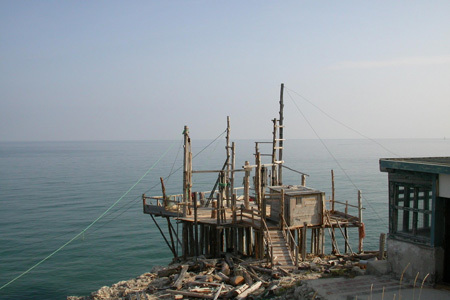 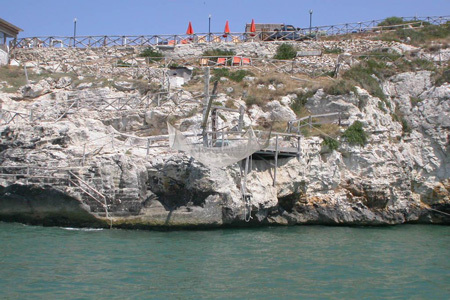 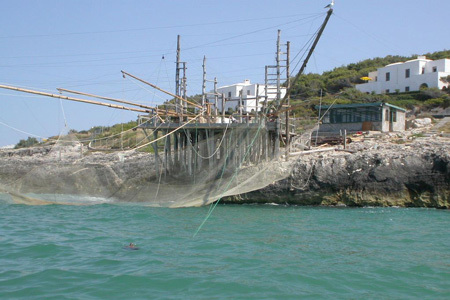 Their method is simple and consists in a large network in the sea bag supported by several antennas, out of these places is a lookout from which he can see the arrival of schools of fish and its signal to the people present Trabucco on to spin a wheel through a dense and complex network of wires and pulleys raises the codend from the sea and imprisoning a bunch of fish. 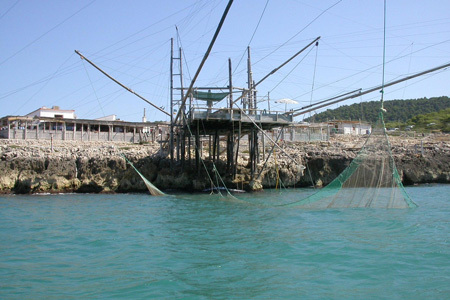 This fishery has been practiced for a long time and takes advantage of the migration of shoals of fish from north to south Adriatic. 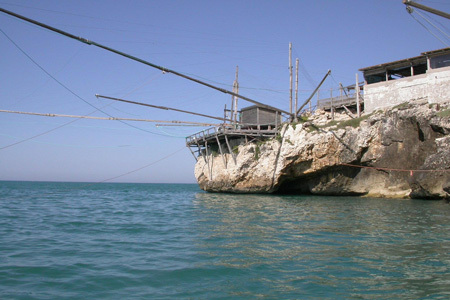 Today many Trabucchi have become quite typical restaurants where you can taste the fish after fish.